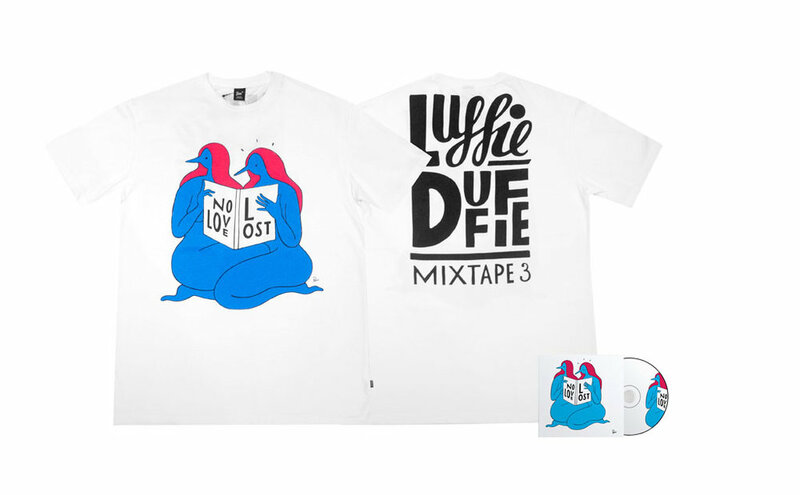 Jul 11 Dj Edzon : Luffie Duffie Part 3 - "No Love Lost"
She be the luckiest girl in the world. Not only because I am marrying the man of my dreams, but I've also asked my ALL TIME favourite DJ -he KNOWS who he is- to come play at #DEMNUPTIALS (I'm just trying out hashtags here, nothing's final yet) and he said yes and now I'm good yuheard! Because instead of stressing out about dresses, seating (if you ain't dancing, you can sit where ever you want, I don't care) and flower arrangements we've been solely focusing on the music. I have a secret pinterest board which I would like to blame on drinking, but I can't because I'm not, and it is completely useless because it is called ROCK THE BELLS (all caps of course) and contains a white Saint Laurent knitted cape -which no one on this planet can afford if you also do not wish to be naked underneath- a lot of McQueen from seasons ago (same), some Givenchy (same) and Tom Ford (samesame) and one picture of Walter Van Beirendonck's S/S 15 Men's collection with the caption "I just know my dress is hiding somewhere inside in this look. "Safe to say, we are on track here. It'll all work out. Back to the music. When LGF and I were discussing pre-production a couple of months ago, I told him I wanted to have DJ Edzon's Luffie Duffie mixtapes playing when people started arriving. The Mac Band? 1988's Bobby Brown? TEDDY PENDERGRASS?! So go here to download the first two mixtapes and HERE to stream and download the Third One. You can also get a hard copy for free if you buy the t-shirt or spend € 35,00 or more in store at PATTA or on Parra's -who of course did the artwork- Rockwell store. Alright and now bump this and try not to dance. Jan 30 KNOTORYUS X Timberland : Stay Hot, Berlin!